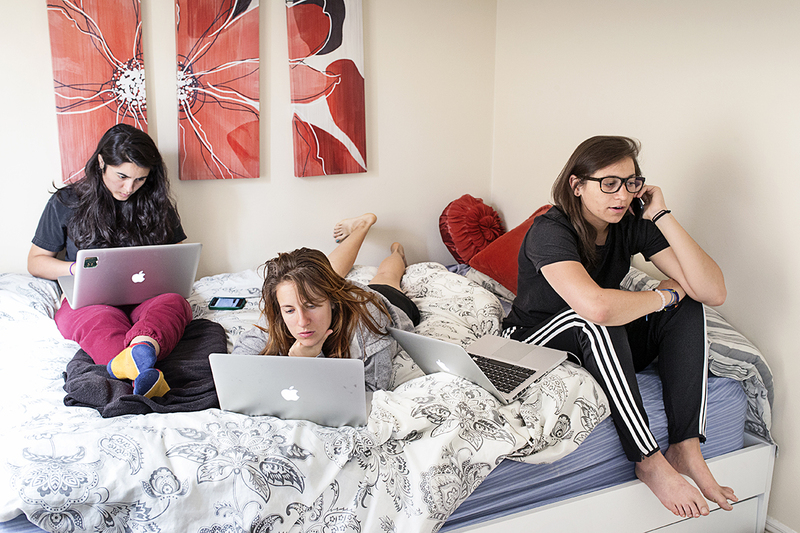 Sandy Frank, Mackenzie Hughes and Danielle Gaglioti (left to right) work on their company Akimbo from the bedroom at the apartment Hughes and Gaglioti were subletting in San Francisco, Calif., on Thursday, August 28, 2014. The company is based out of New York, but Hughes and Gaglioti were in town for the summer to participate in Tumml, an urban ventures accelerator program and Frank joined them as an intern. They often worked from home depending on their meeting schedule and available transportation options.